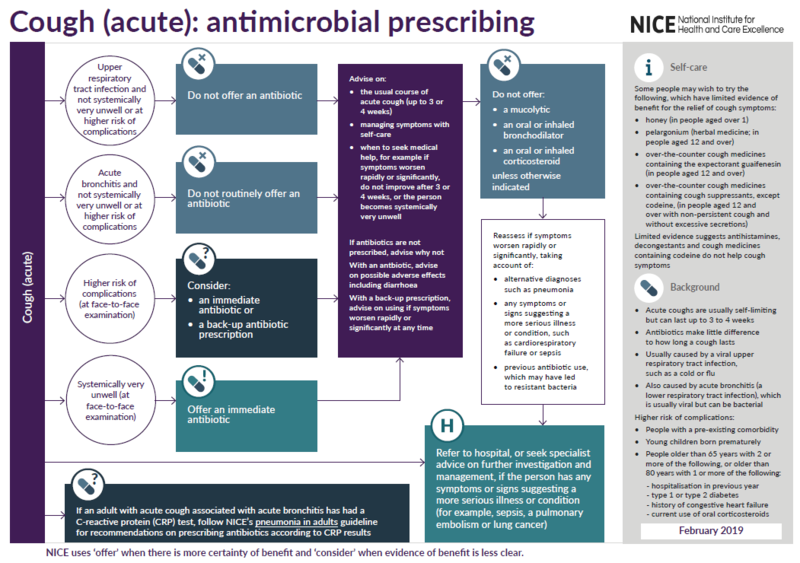 This guideline sets out an antimicrobial prescribing strategy for acute cough associated with an upper respiratory tract infection or acute bronchitis in adults, young people and children. It aims to limit antibiotic use and reduce antibiotic resistance. For treating coughs associated with other lower respiratory tract infections, see our web page on respiratory conditions.